The oldest surviving examples of eyeglasses in the world, dating from around 1330, were discovered hidden beneath the floorboards of the nuns’ choir in the Cistercian Kloster Wienhausen in northern Germany. Several pairs were stashed there, along with prayer books, small pictures, devotional objects, and the materials used for making these, such as scissors, beads, cloth, paper, and needles, most likely when Duke Ernest the Confessor attempted to introduce Lutheran practice to the convent in the 1520s. Using these wooden rivet spectacles as both material object and metaphor, Wiesner-Hanks will examine the ways that scholarship in many disciplines over the last forty years has sharpened our view of medieval and early modern women, and the texts and objects they produced, allowing us to see greater complexities in things close at hand and a wider panorama beyond. 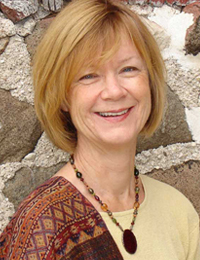 Merry Wiesner-Hanks is Distinguished Professor of History at the University of Wisconsin–Milwaukee. Her research focuses are twofold: one as a historian of early modern Europe and the other as a world/global historian, with a primary focus on women, gender, and sexuality. She is most recently the author of A Concise History of the World (Cambridge University Press, 2015), as well as Early Modern Europe, 1450-1789, Vol. 2, 2nd ed. (Cambridge University Press, 2013), and Gender in History: Global Perspectives, 2nd ed. (Wiley-Blackwell, 2011). Wiesner-Hanks is also the Senior Editor of Sixteenth Century Journal, and Editor of Journal of Global History. She is the Vice-President and President Elect of the World History Association and serves on the National Advisory Board of the Society for History Education.